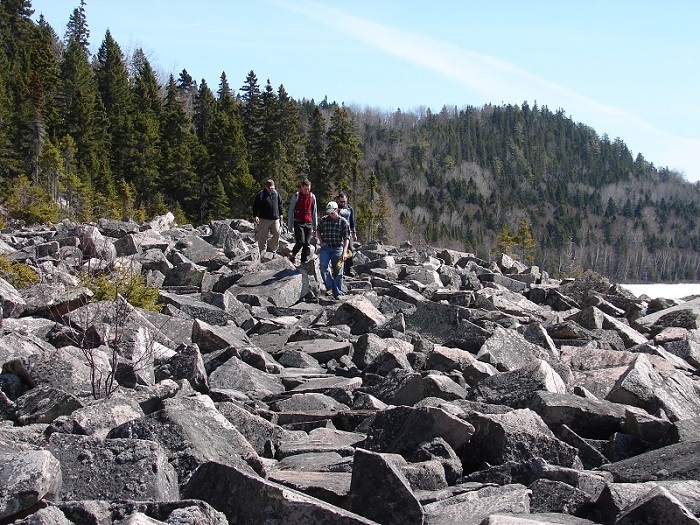 Working and aspiring geologists from throughout Maine, as well as geology educators and students, will gather at the University of Maine at Presque Isle when it hosts the Geological Society of Maine 2019 spring meeting on Friday, April 5. The meeting will be held in UMPI’s Campus Center from 1 to 5:30 p.m. The spring meeting focuses on academia and the research performed by students under the supervision of their faculty advisors. The presentations will cover all aspects of geologic science and related sciences. Dr. Aaron Putnam, George H. Denton Assistant Professor at the University of Maine, will give the keynote address on “The Last Great Global Warming” at 3 p.m. The public is invited to attend this free meeting and the keynote lecture. The Geological Society of Maine (GSM), founded in 1974, is a non-profit organization dedicated to geological issues and education in Maine, according to its website. 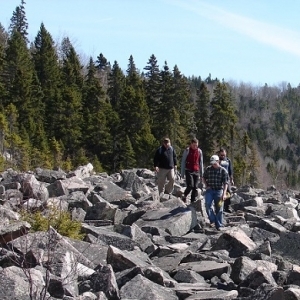 The society’s mission includes furthering public awareness and understanding of the geology of the State of Maine, and of the modern geologic processes that affect the Maine landscape and the human environment. The event will culminate with a keynote address by Dr. Aaron Putnam, from 3 to 3:45 p.m. titled The Last Great Global Warming: Lessons from the past for a warming world. Dr. Putnam is a local native of Chapman. He attended Mapleton Elementary School, Presque Isle Middle School, and the Maine School of Science and Mathematics. He earned his Ph.D. at the University of Maine and completed post-doctorate research at Columbia University’s world-class Lamont-Doherty Earth Observatory, prior to becoming a professor at UMaine. Dr. Putnam charts the geologic history of glaciation around the world with the aim of deriving a more complete understanding of the dynamics that have produced major changes in Earth’s climate. He will report the results of a decade-long effort to chart the demise of mountain glaciers since the last ice age in both hemispheres. He has proposed that a spectacular warming prompted extensive and rapid mountain glacier recession in both hemispheres beginning about 18,000 years ago. He will provide evidences to support that a non-linear climate dynamic system that terminated the last ice age is being reawakened by the input of fossil-fuel carbon dioxide into the atmosphere, and that the climate system may have recently entered a new mode of operation. UMPI’s Environmental Science and Sustainability Program as well as its Geo-Ecology Club are the host of this annual conference. For more information about the society’s spring meeting, contact Dr. Chunzeng Wang at chunzeng.wang@maine.edu. To learn more about the Geological Society of Maine, visit its website at www.gsmmaine.org.